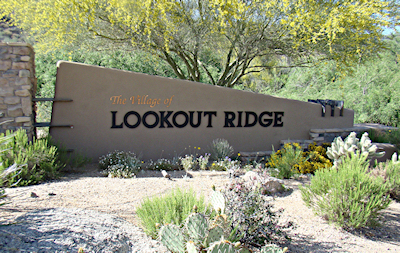 Lookout Ridge sits just north of the Renegade golf course, near the center of Desert Mountain. It is slightly elevated over the course and many homes have stunning views of the 18th hole. Other homes in Lookout Ridge have tranquil views of the surrounding desert landscape and nearby mountain range. 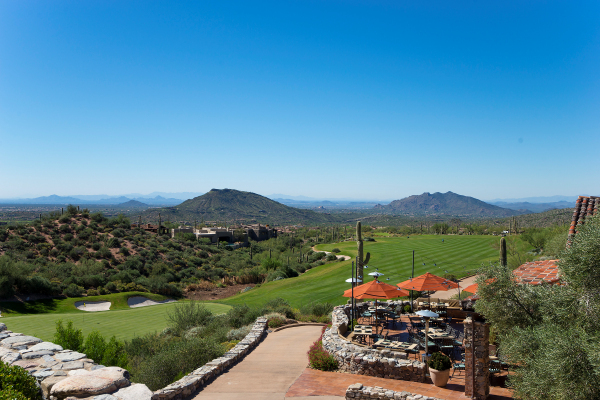 Residents in Lookout Ridge love the convenient proximity to the Sonoran Clubhouse. It is home to an extensive tennis facility, fitness center, spa and swimming pools. Many of these luxurious Desert Mountain homes are highly upgraded with gourmet kitchens and elegant bathrooms. Most are 3 bedroom floor plans of around 3,000 square feet or more. Use the search below to find homes in Lookout Ridge that suit your taste. If you are interested in viewing any Desert Mountain real estate for sale, call us at (602) 791-0536 or email Carmen@TopScottsdaleHomes.com to schedule an exclusive showing of homes for sale. Desert Mountain is an exclusive golf community nestled among the rolling foothills of the Continental Mountains. This vibrant and dramatic setting provides the perfect backdrop for its six world-class golf courses and 32 resort-like villages that stretch over 8,000 beautiful acres. Towering saguaro cacti, lush flowering plants and rugged mountains create breathtaking views from every vantage point in the community. The abundant natural open space offers the perfect amount of peace and privacy for residents to enjoy a one-of-a-kind lifestyle. Search Desert Mountain homes for sale today, and experience the kind of luxury that awaits you in this five-star community. Ready to start searching Desert Mountain real estate? Use our comprehensive browsing options to pinpoint homes in your price range or preferred village. Call us at (602) 791-0536 if you’d like to arrange a viewing or set up a search for your dream home.